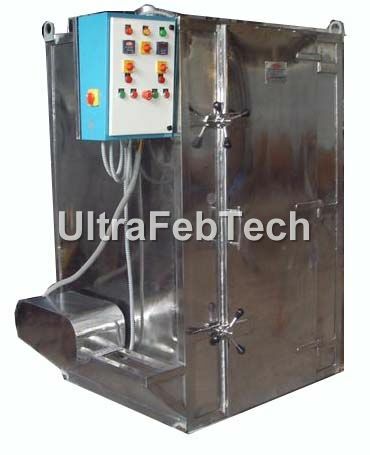 This is a batch type dryer suitable for small quantities wet material. It is either in MS or SS. Trays of SS or aluminum ranging from 24 – 400 can be supplied according to customer’s requirement. The same is either provided with steam or electrical heating arrangement. Proper insulation is given to minimize heat losses. 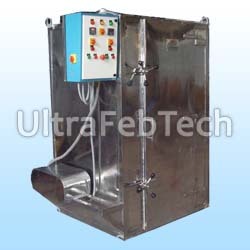 It has also auto start and cut off facility to maintain optimum temperature in the chamber. It has two to four fans according to trays capacity.